It is never nice to have a vehicle that has completely broken down. Especially if it looks like it is going to be permanent. You can discern whether it is permanent simply by looking at the cost of repair vs. the car in question’s value. If this is the case of you, you may be asking yourself some questions. What is the best cash value of a scrap car? Who buys junk cars for cash near you? Who pickup and pay for junk cars? What is the best way to sell a wrecked car? 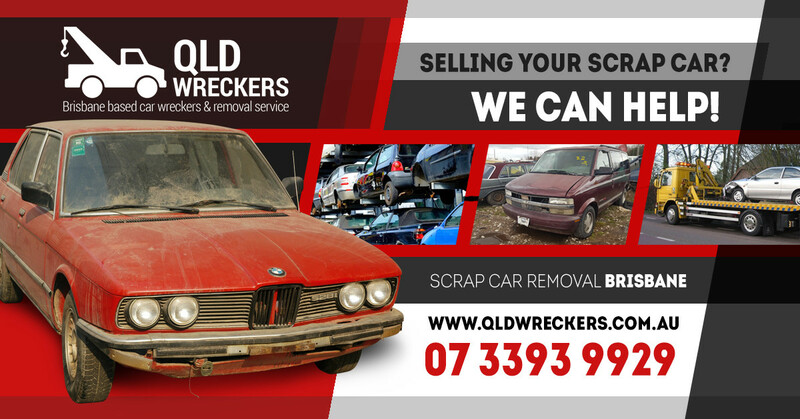 All you need to do to find out is by asking your local Scrap Car Buyers in Brisbane! They will spend their hard earned money on your scrap car. Now you are about to scrap your car. You have contacted them, gotten a price quote based on your car’s age, make, model and how many second hand car parts that can be salvaged. Now you have to prepare the vehicle so that the whole process goes as smoothly as possible. You may be wondering what this involves. So we have compiled a short list of preparations you need to complete. It is easy to lose something in a car. Sometimes, people lose things in their car and not even realise it. This is a great reason for why it is a good idea to clean your vehicle out before selling it. There are so many small items that can get lost down the back of seats or in dark corners of your vehicle. It could be an item of jewellery that means a lot to you. Money is easily lost too, as well as keys. Get in there and search every last pocket of space that you can. How much is your car worth in scrap? Certainly not more than that prized heirloom that is stuck down the back of one of the seats. Finding nothing won’t mean that you have wasted your time. Instead, you can enjoy the peace of mind that it will afford you to know that you aren’t going to send your car off with valuables in it that can be lost forever. It is important that you remember to look in the boot compartment. This is a common storage place for tools, which are always handy to have around. So, you know scrap car prices. That is great, but did you know that you can get even more money when getting rid of a scrap vehicle? That is correct. Here is one tip for increasing the amount of cash that you end up with at the end of the day when selling a scrap car. Remove the licence plate from it. You may be wondering why this will help you get more money out of your vehicle when you sell it to the Cash for Car Company. It all has to do with when you registered your car. When you deregister your car, if you had just had it registered recently, you can get a refund for the amount of time that is left over. Taking your number plate off your car isn’t a hard task to go about completing. Here is what you will need. First, you will need a number plate that needs removing. If you don’t have this, then you can’t remove the number plate because you don’t have one to remove to begin with. Next, you will need a set of tools. It is impossible to remove number plates with your bare hands. The main tool that you need is a screwdriver. This is probably the best way to sell your unregistered car for cash. Do you have a beautiful state of the art stereo in your vehicle? You won’t want that to be in there when you dispose of your car. Chances are, leaving it in there won’t increase the value of your car by the amount that it would fetch when selling it on its own. This is why it is recommended that you remove it and either sell it separately or keep it and install it in your next ride. Car prices in Australia are easy to learn if you go online and do some research. The same goes for the value of the cosmetic parts on your vehicle. If you can find out how much your cosmetic parts are worth, you will be able to sell them and get a nice price for them. Perhaps do it right after you determine the value of a car. Have a look at the tyres on your vehicle. They may be in good enough condition to keep as spare tyres in the future. Spare tyres are always handy to have around, as you never know when disaster strikes, resulting in the untimely death of a tyre on your car. So, if your tyres are still in great condition, remove them. Don’t worry about whether the car scrap dealers will still buy your vehicle. They buy cars no matter what condition they are in. The problem with keeping spare tyres is that you will need somewhere to store them. If this is not going to be possible, do not despair. You can sell the tyres and get good cash for them. If you want to know how to remove a tyre, you can easily find out by researching YouTube for a tutorial video. There will probably be thousands of them. You may want to go on the hunt for all the documentation pertaining to your car and your ownership of it. Not all car scrappers need to have these things. However, there is always the chance that they will. If you can gather them all together, this will make everything go a lot smoother in the long run. You aren’t going to just leave that clunker on your lawn. You know the answer to the question “how do you get rid of junk cars?” So there is no excuse for putting it off. Scrap metal prices in Australia can fluctuate, but there is nothing you can do to control that. What you can control, however, is how smoothly the process can go. This is why the above measures should be taken.